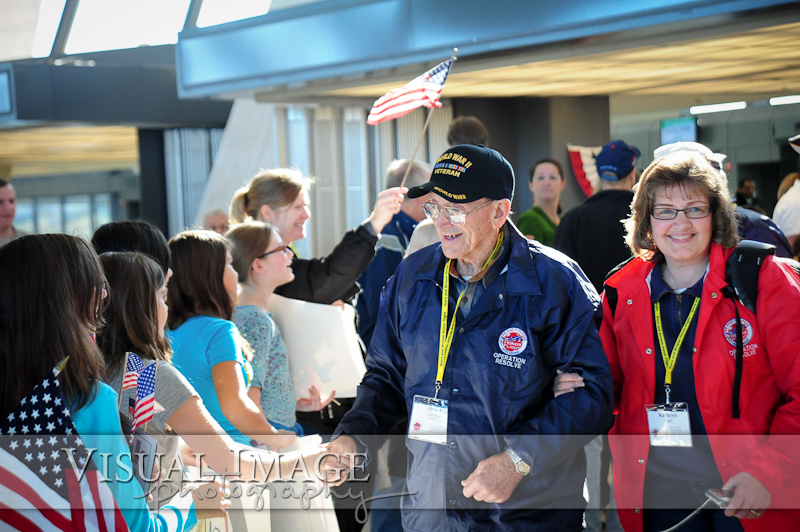 On November 5, 2011, the Stars and Stripes Honor Flight flew 220 World War II veterans from Milwaukee to Washington, DC. 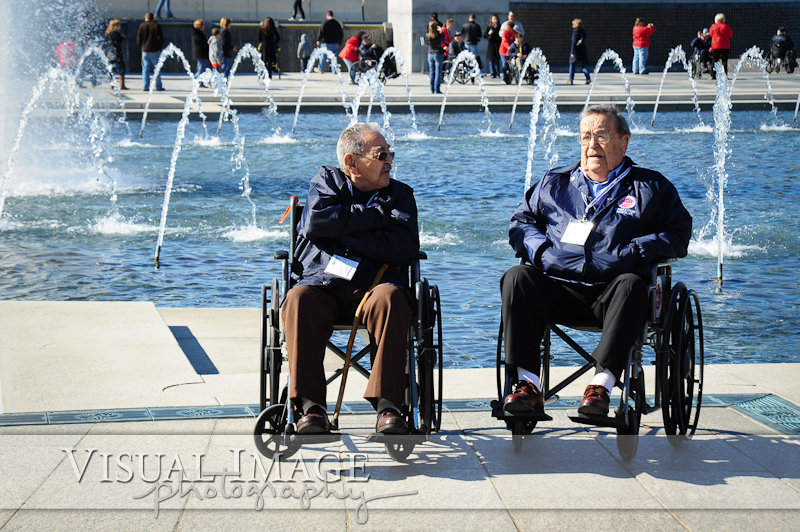 The Honor Flight flies WWII veterans to see their memorial at no cost to them. 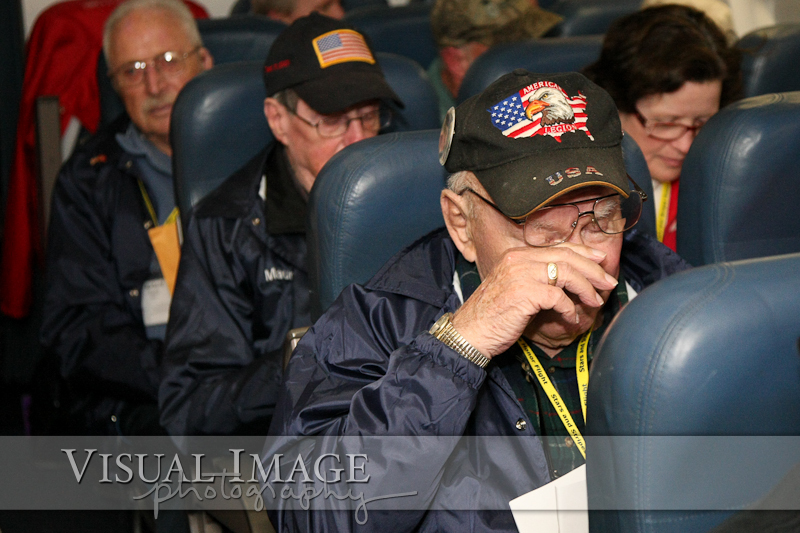 After all they have done for our country, it is the least we can do for them. 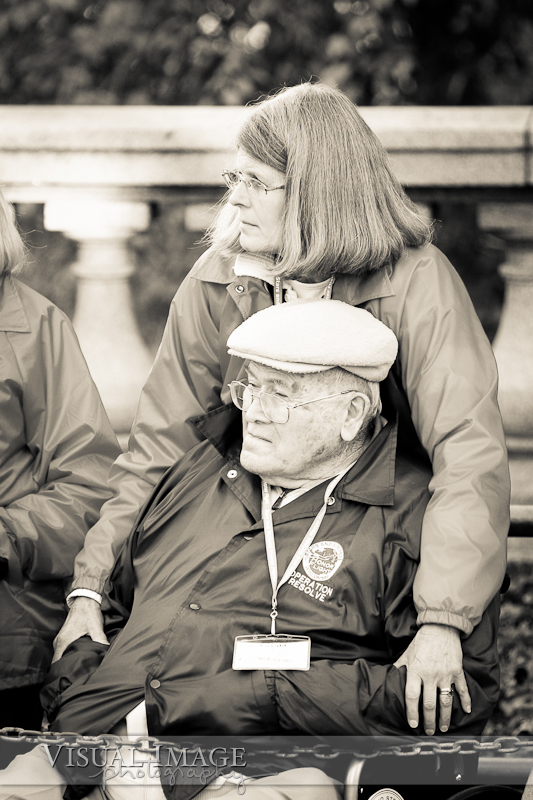 If you want to know more about the Stars and Stripes Honor Flight, like them on Facebook, follow them on Twitter, or visit their website. 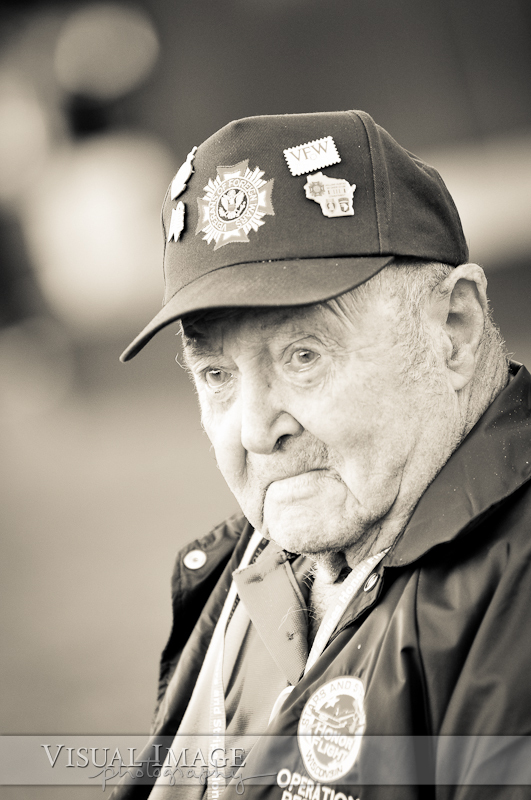 With over 900 WWII veterans dying every day, time is of the essence. 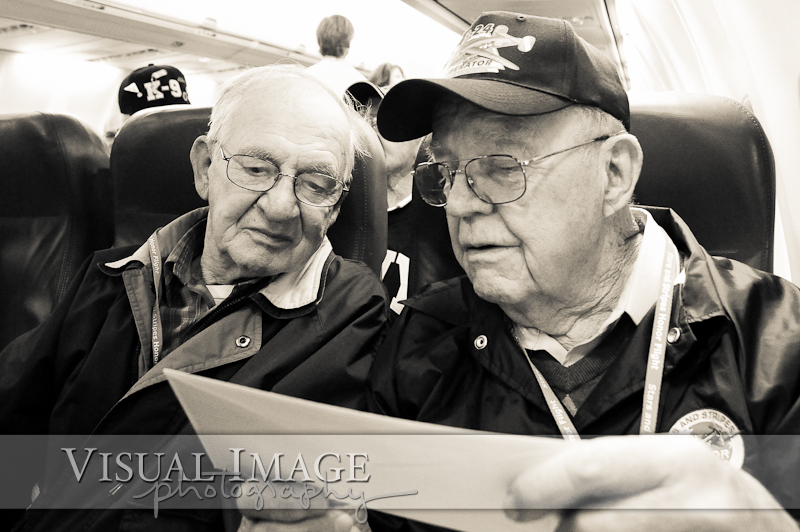 Your donation can help us fly more veterans to Washington, DC this spring. 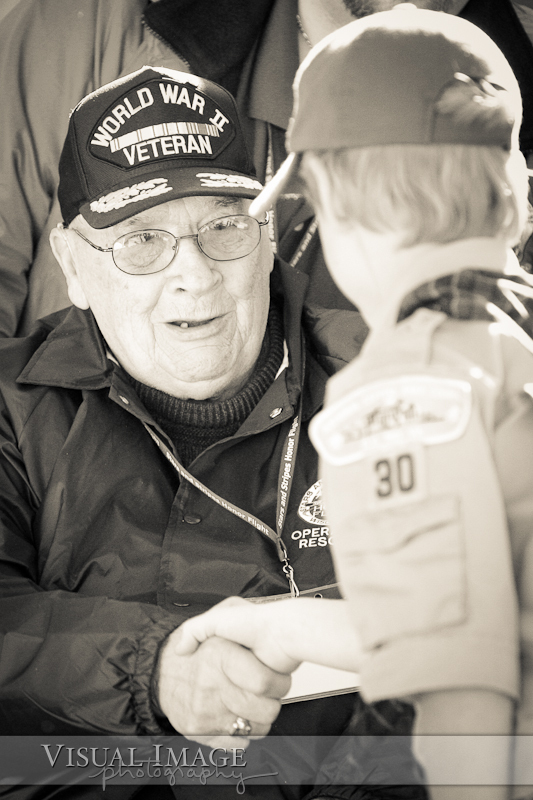 Today, Veterans Day, please take the time to thank the people who have served or are currently serving our country. 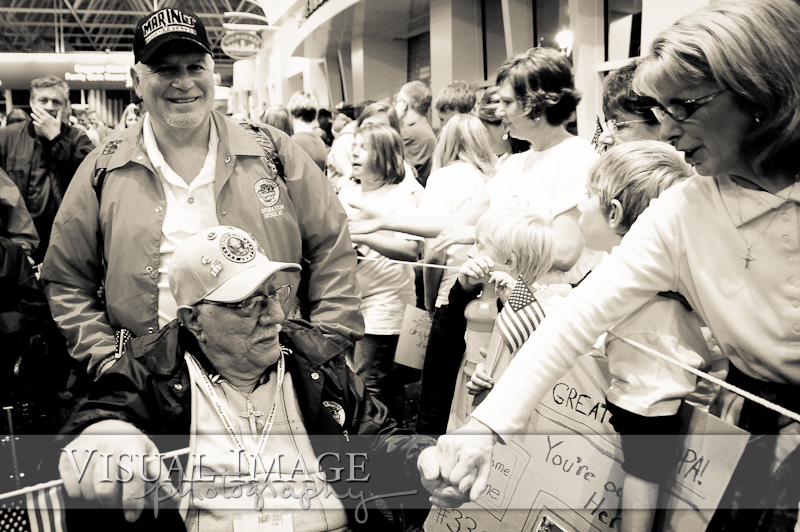 The expression of your gratitude means a lot to the veterans I have spent time with on the Honor Flight. 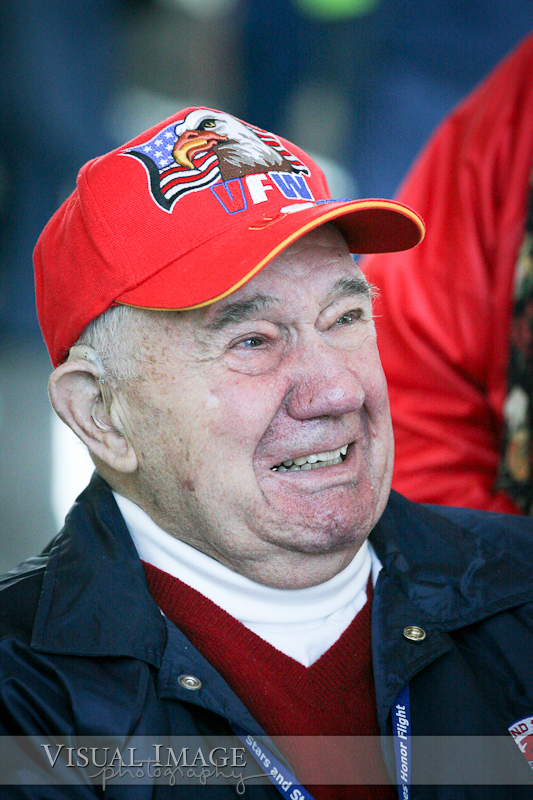 Your attendance at the homecoming is an emotionally overwhelming moment that is extremely meaningful to everyone, especially to the men and women who are part of the Greatest Generation. 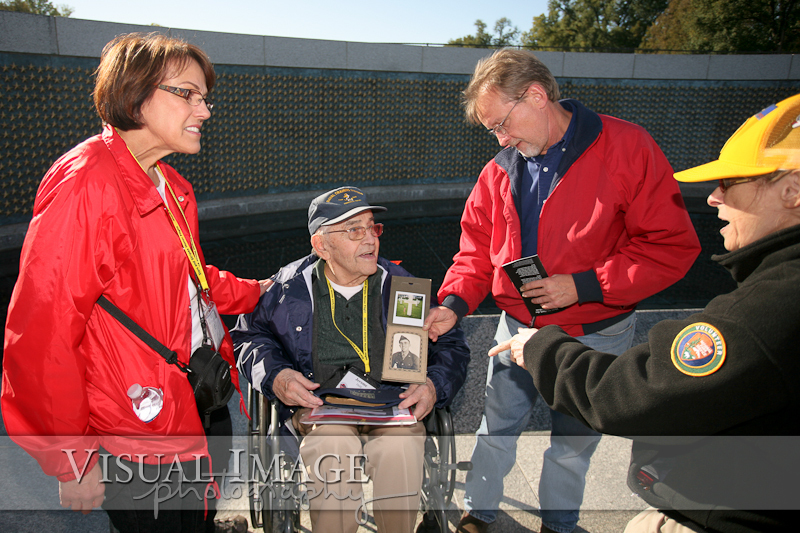 Karl Boettcher and Holly Nelson traveled with these heroes to document their tour of the memorials around our nation's capital. 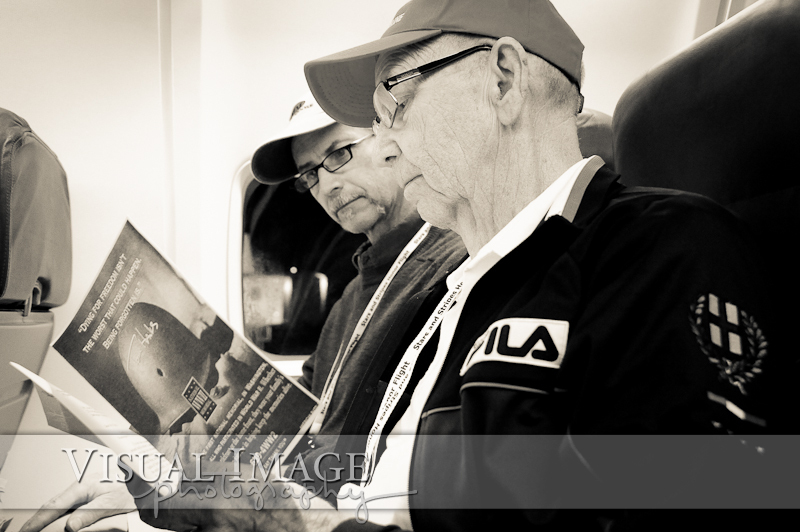 The images from this flight, along with the other six flights Visual Image Photography has had the privilege of documenting can be viewed and downloaded for free by clicking here. The November 5th flight is currently being color corrected, so I ask for your patience. 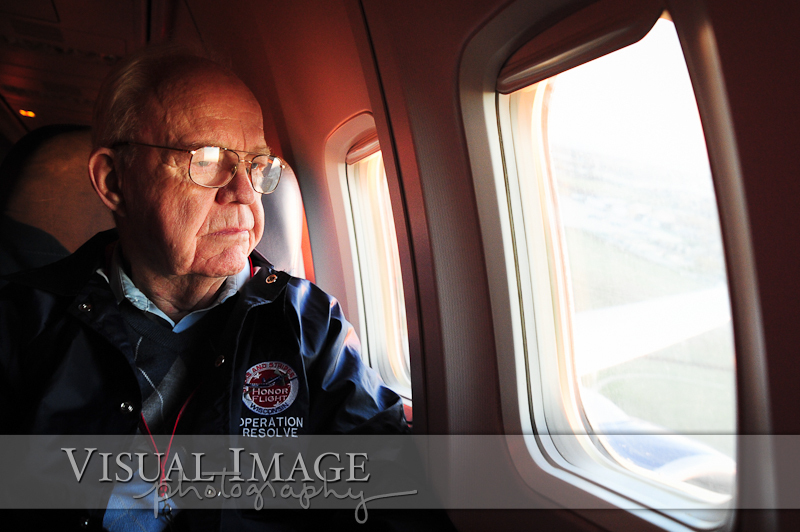 I know you're all very excited to see the images from this trip, so here are some of my favorites of the Alpha and Bravo flights. 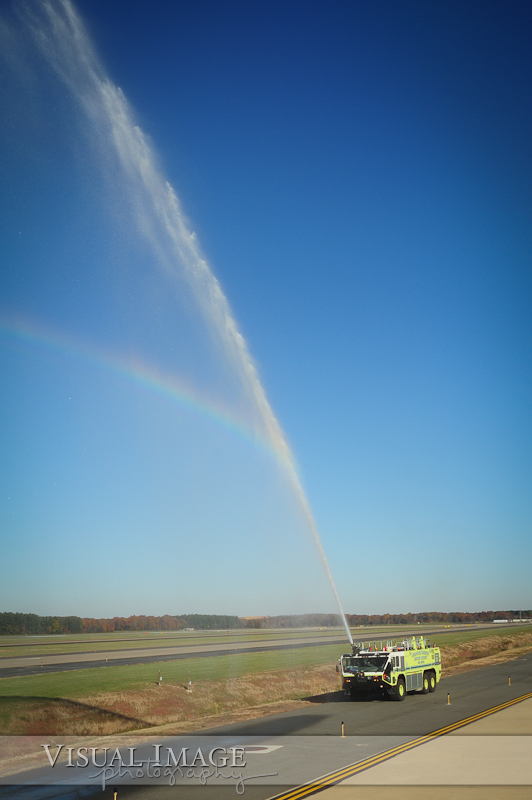 The water cannon salute greets both planes as they land at Dulles International Airport. 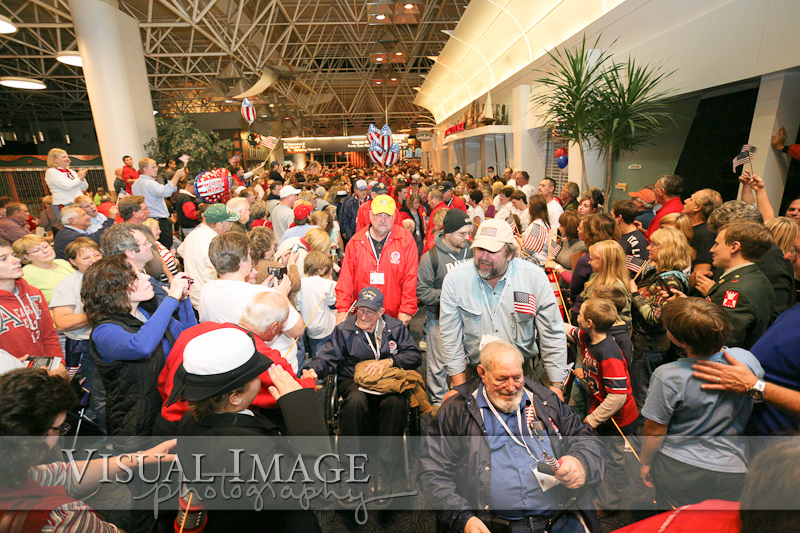 Not only do the veterans receive an amazing homecoming when they return to Milwaukee, but they are celebrated by a large crowd as they enter Dulles International Airport. 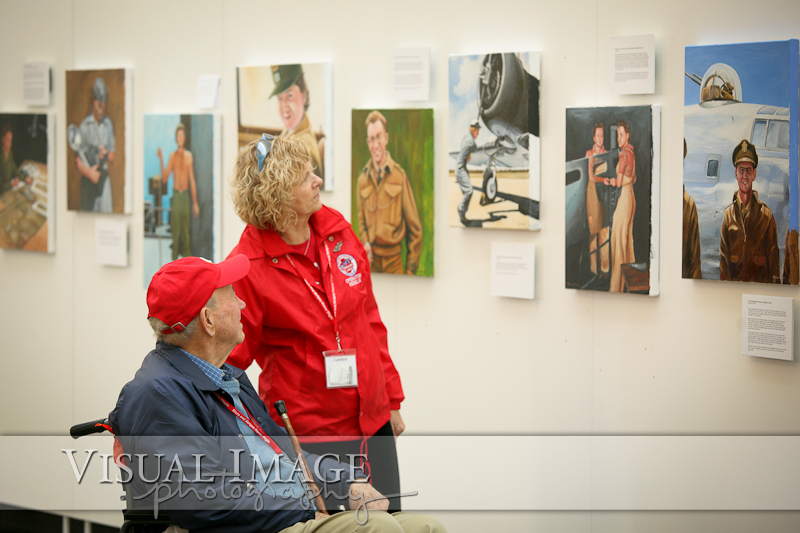 This is the first Honor Flight to have the opportunity to spend time at the Women in Military Service for America Memorial. 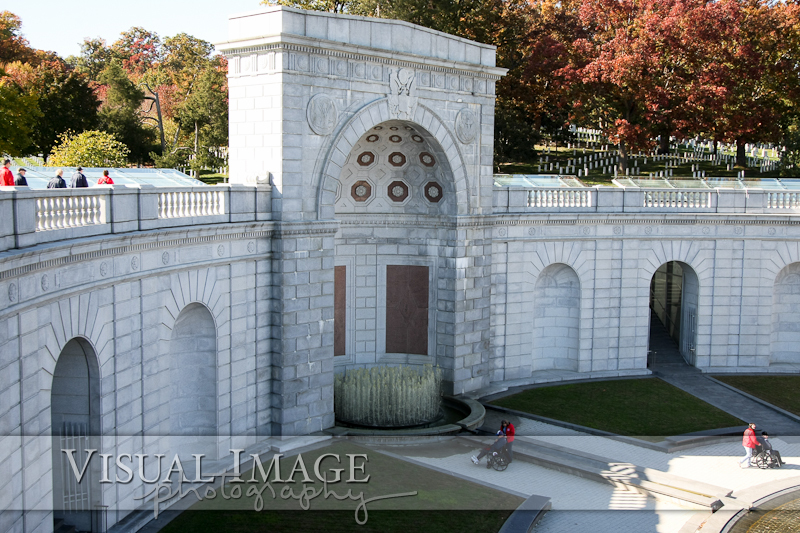 It is located just outside of Arlington National Cemetery and is absolutely worth visiting if you are in Washington, DC. 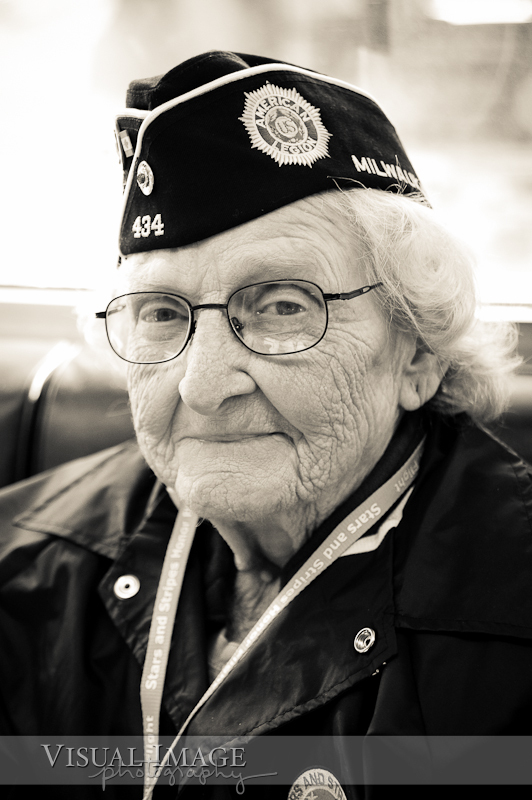 Rose Wozniak is one of the female veterans who made this trip. 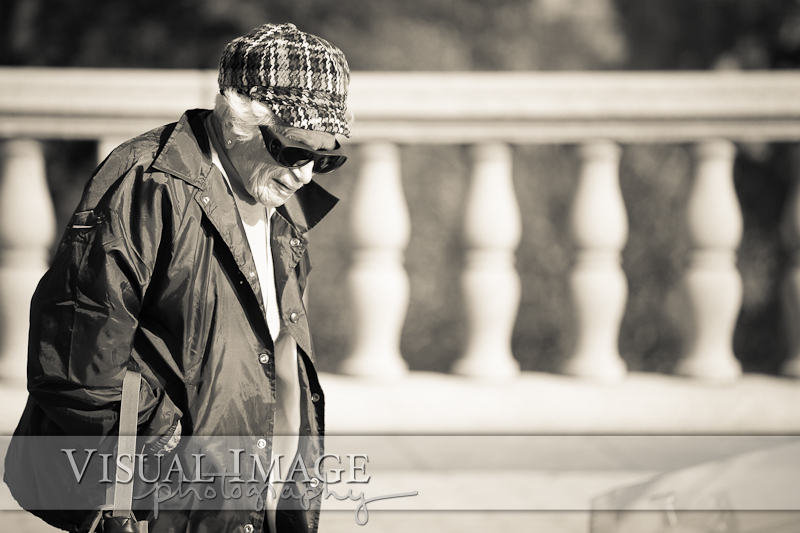 You can learn more about her in Jon Byman's article on 620 WTMJ's website. 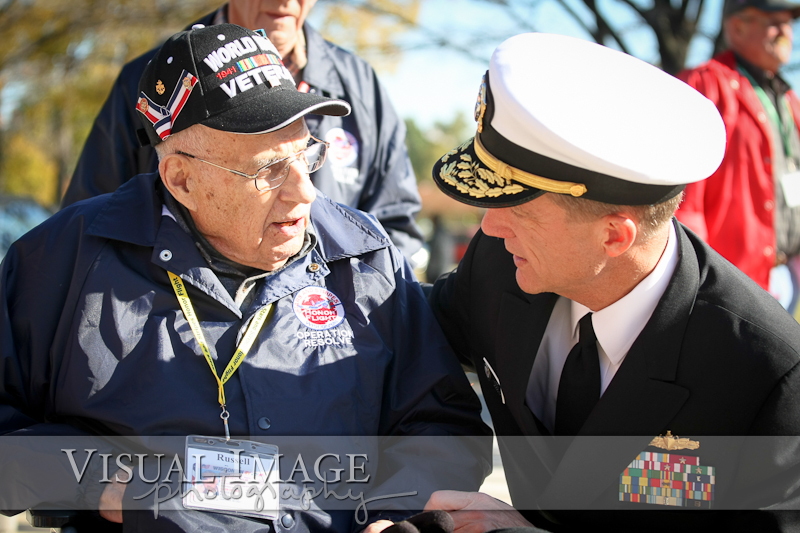 Vice Admiral Dirk Debbink spends time greeting Wisconsin veterans. 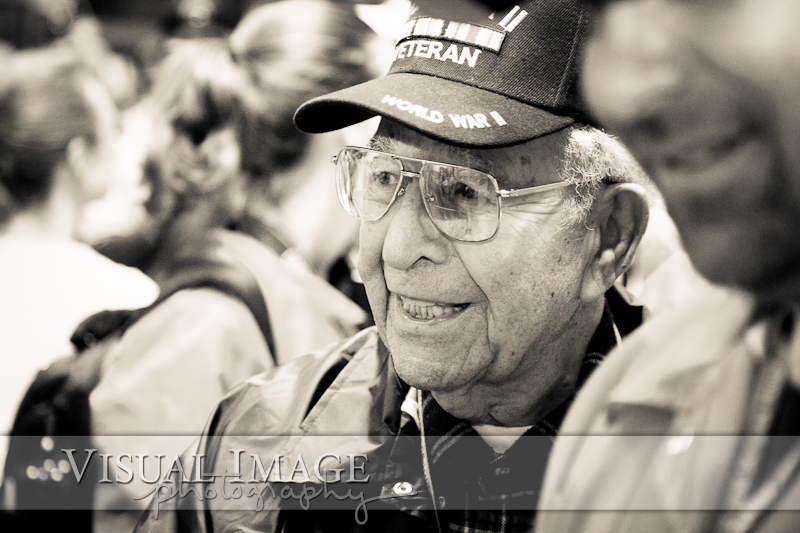 He grew up in Oconomowoc and makes a point to visit with the veterans from his home state for every Honor Flight. 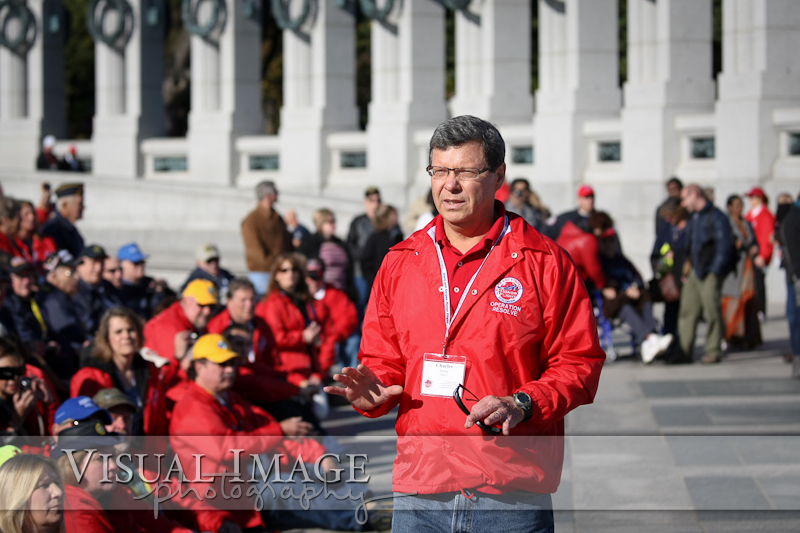 Newsradio 620 WTMJ host Charlie Sykes speaks to the Alpha group veterans at the WWII Memorial. 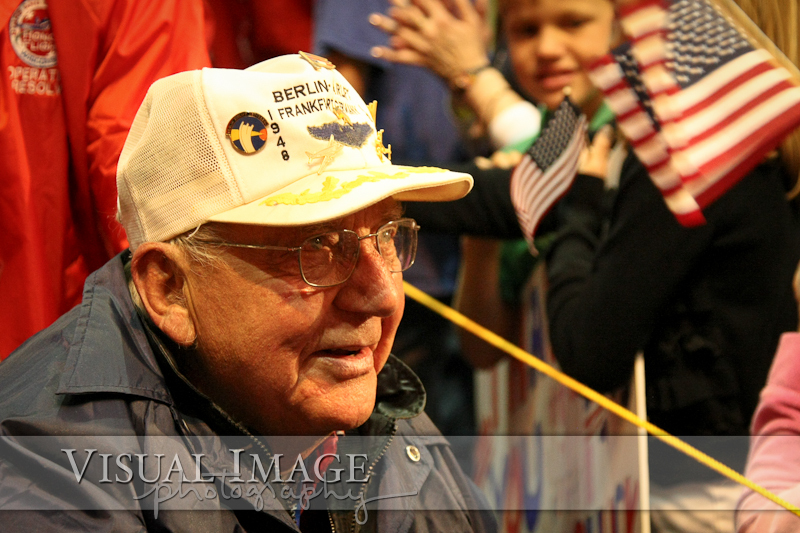 With the help of their listeners, WTMJ has raised over $500,000 for the Stars and Stripes Honor Flight. Do you want to know what he said? 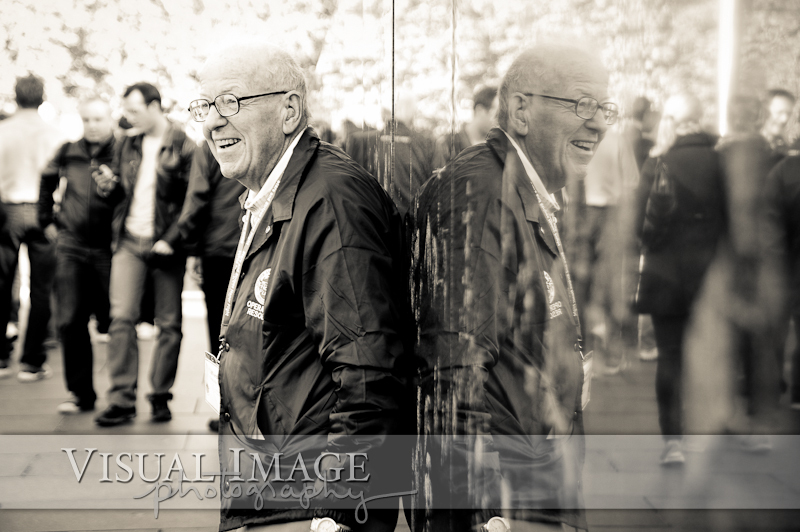 Click here to listen to Charlie as he expresses his gratitude. 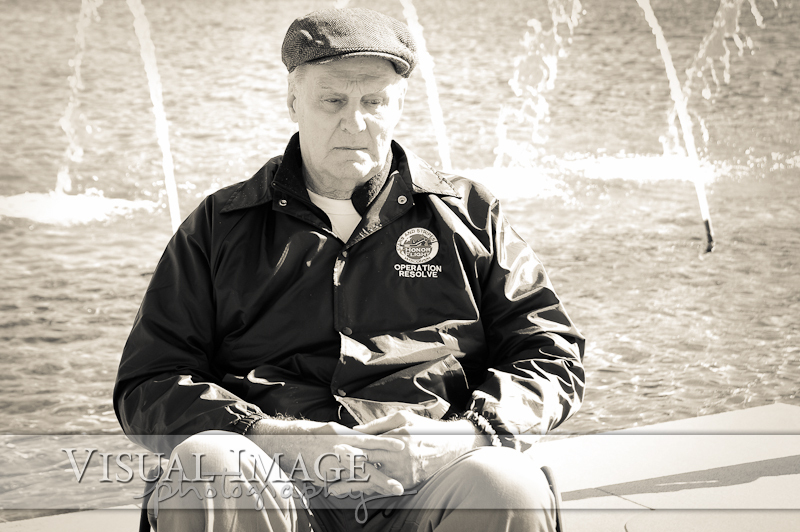 The sacrifice of service is made clear as one veteran shares a photograph of his brother who lost his life while fighting in France. 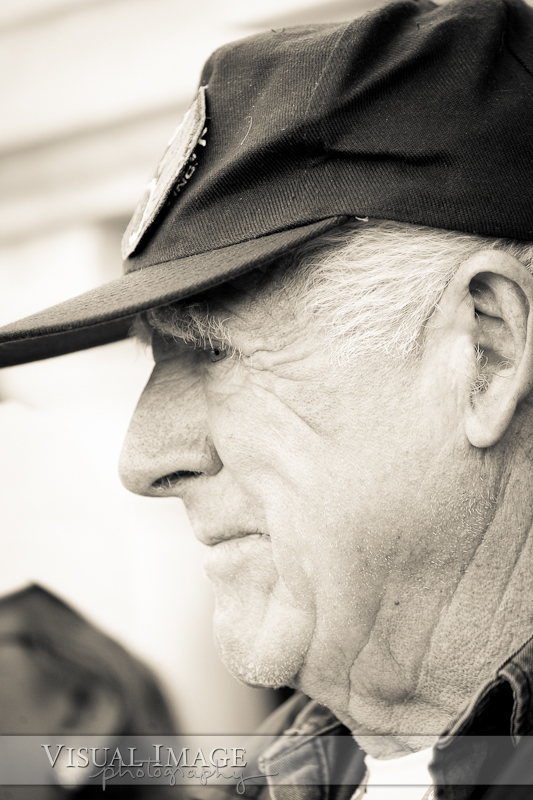 What I find amazing is the selfless nature of every single veteran. 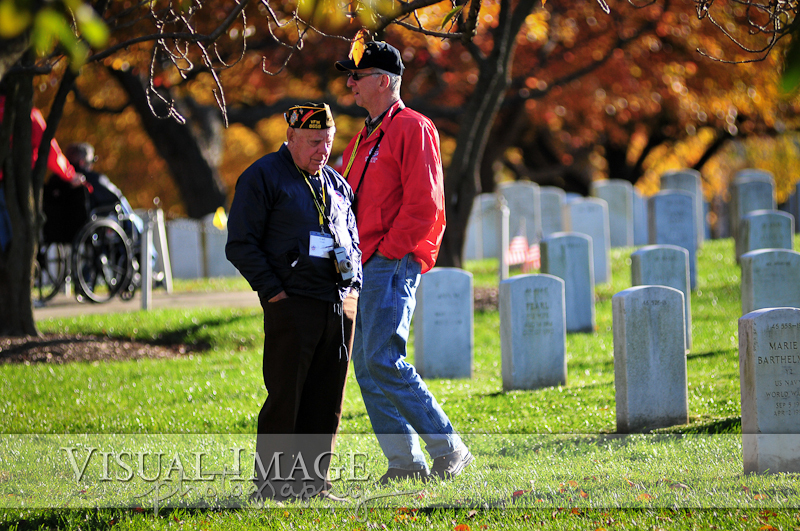 So many of them have all said that they are not heroes, but were just ordinary people serving their country. And the real heroes are the military personnel who never made it home. 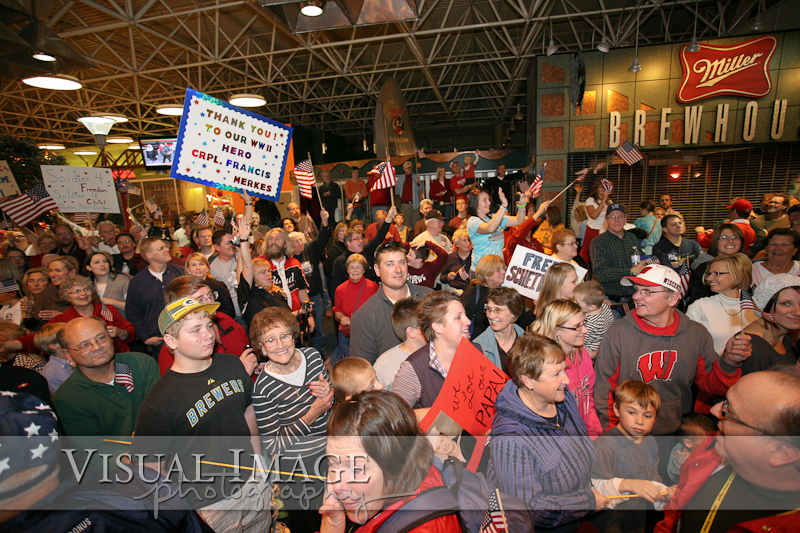 In the background of this photo, you can see the 4,048 stars making up the Freedom Wall. 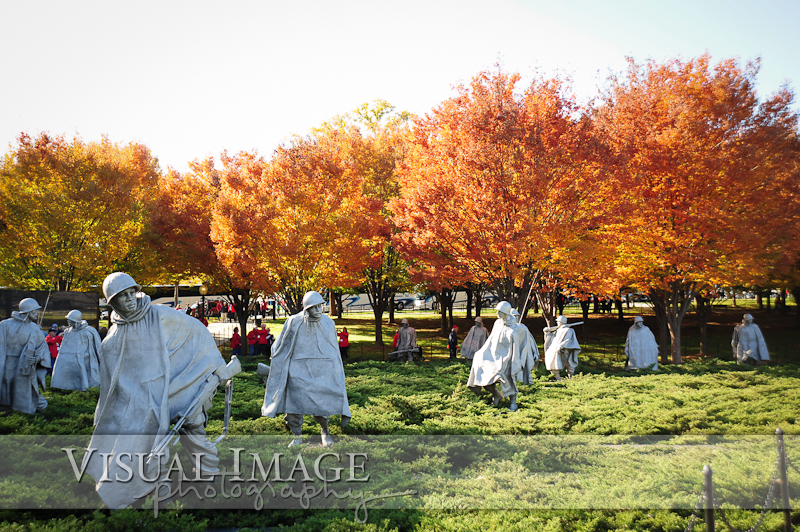 Each star represents 100 American service personnel who died or remain missing in the war. 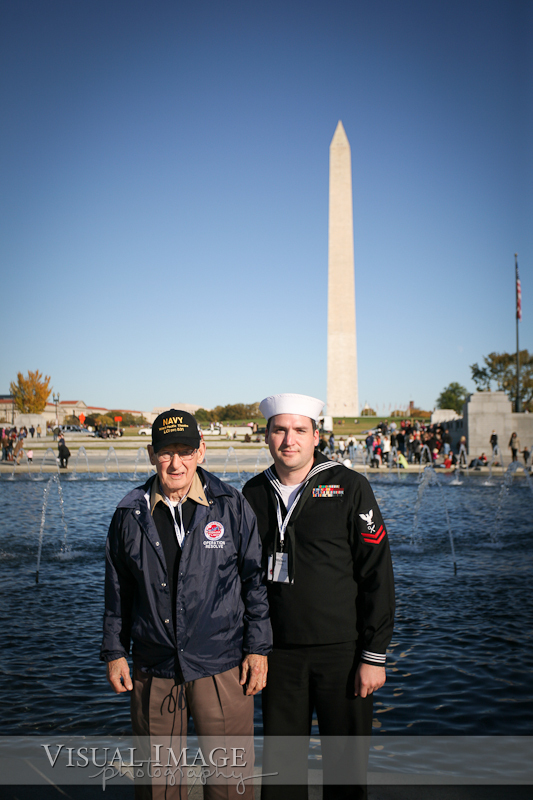 Charles Glenn and his grandson Michael share the Honor Flight trip. 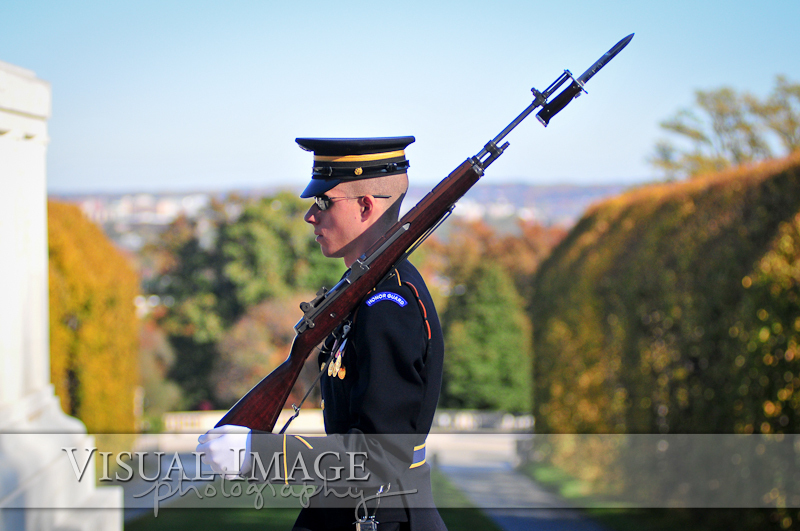 Each trip to Washington, DC includes a visit to Arlington National Cemetery for the changing of the guard. 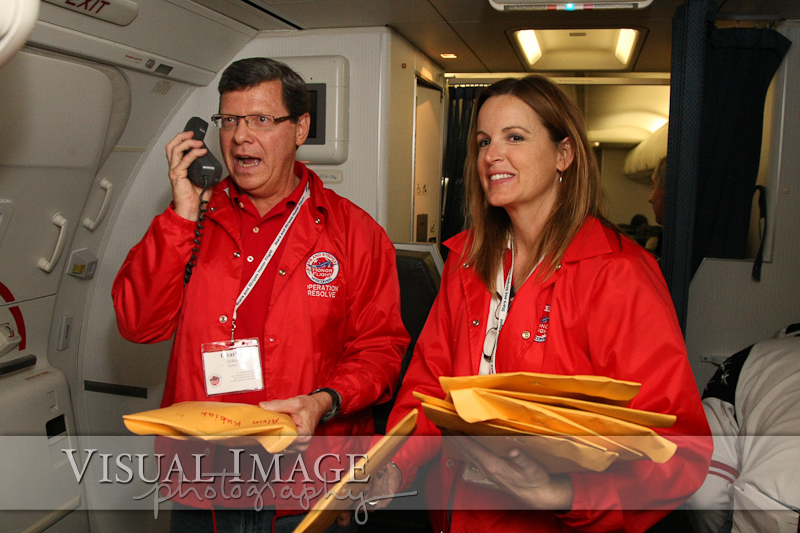 On the return flight, Charlie Sykes calls out names for mail call. 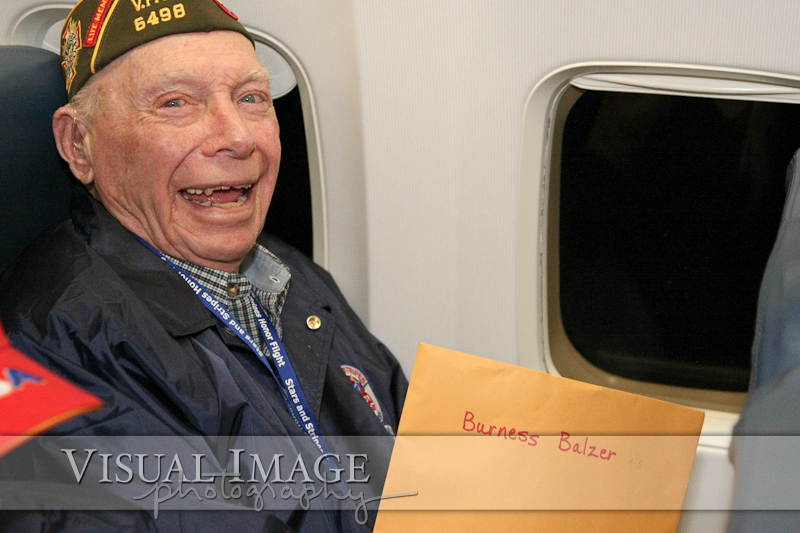 Renee Riddle, one of the Stars and Stripes Honor Flight board members, helps distribute the mail to the veterans on our flight. The letters that you write are powerful. 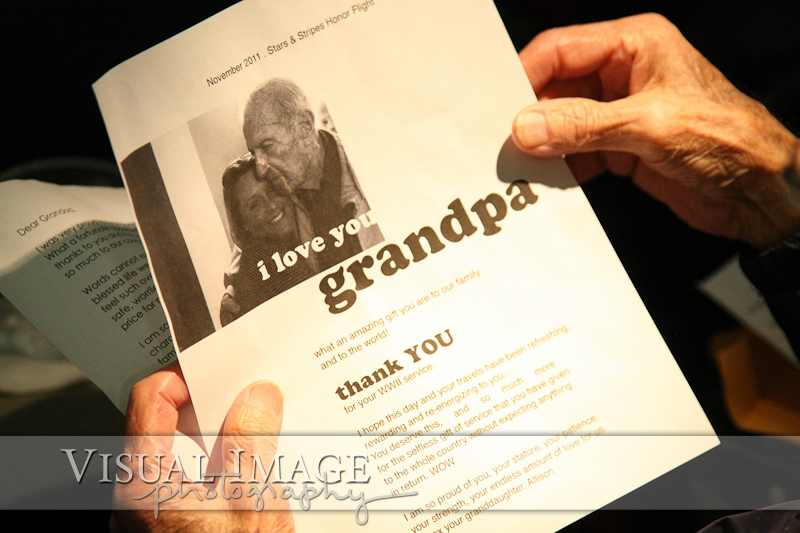 The gratitude you express is welcomed. 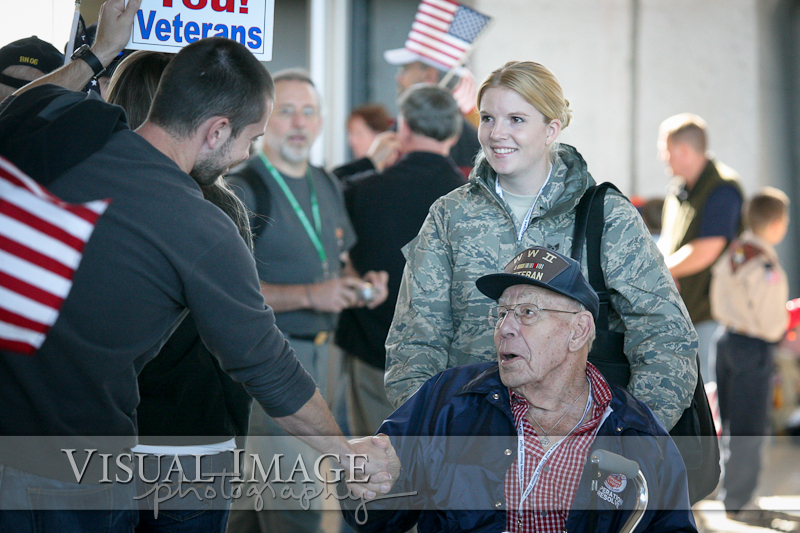 And the love you share means so much to these heroes on the return flight. 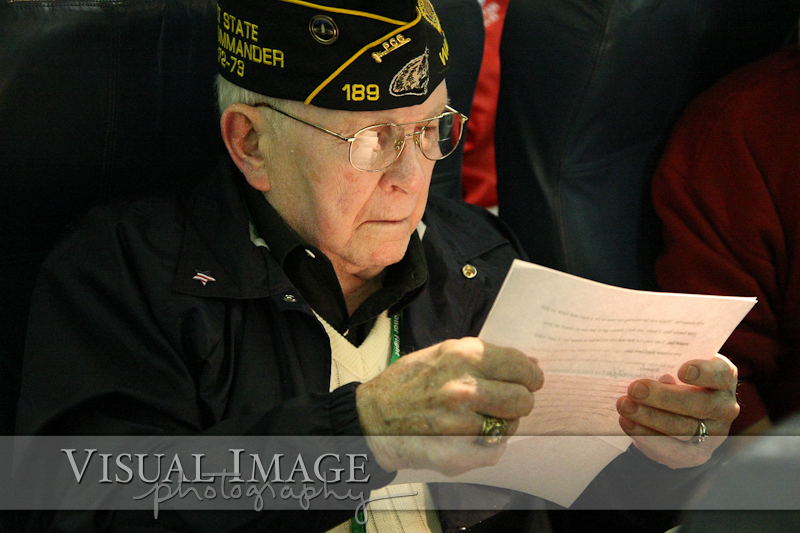 Below are the words from a letter written to a veteran. I was amazed when I saw who wrote the letter! 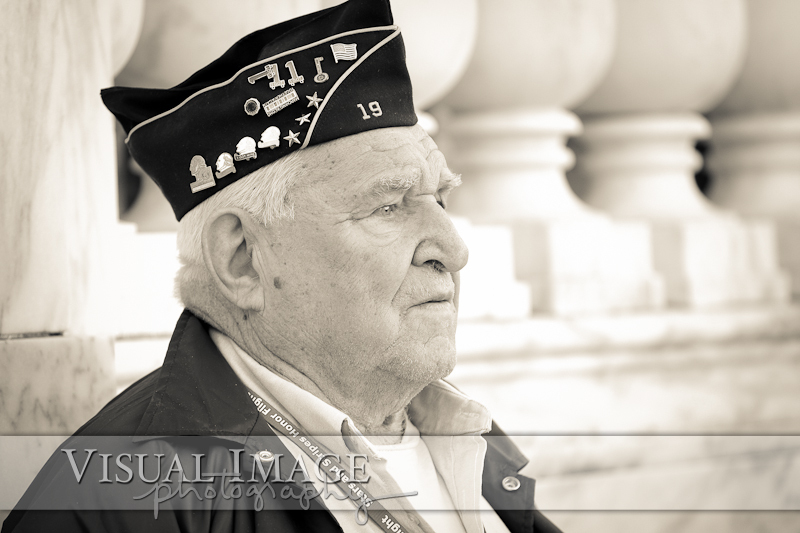 With deep appreciation, I would like to thank you for your service in WWII. To be honest, my thanks to you goes beyond words. What went on overseas in Europe for those 7 years, I cannot begin to imagine. Through the unthinkable moments and sleepless nights you were giving the ultimate sacrifice to our great nation. 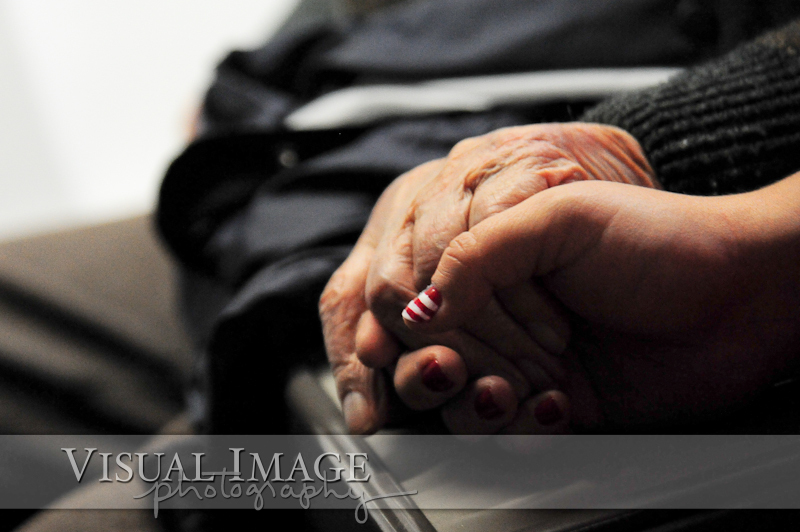 And even though the war is long over, the memories--both good and bad, have not ended. 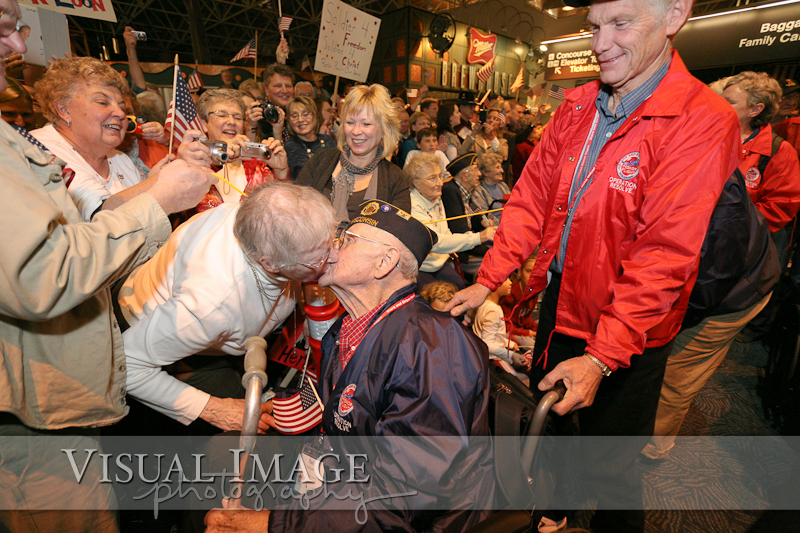 Just know, though, how grateful our family is for your dedication to our country when/if a memory of that sort comes upon you. The word, hero, is tossed around a lot these days--almost to the point where it's lost its true meaning. From the halls at school where I hear kids talking about the latest sports "hero" or latest singing, acting, or any other celebrity so called "hero". Yet, they are not heroes. We, as Americans, shall not forget the true meaning of "hero"! 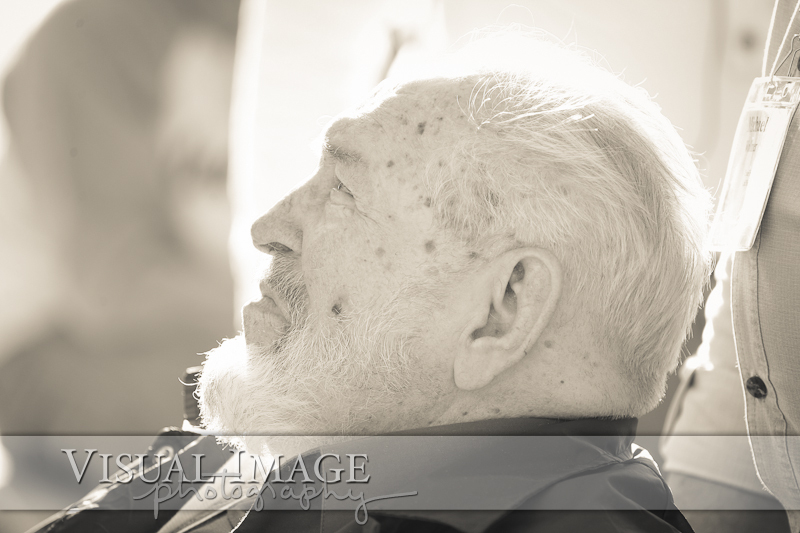 A true hero is a person like you. You are a hero and nothing should make you believe any different. God bless you! And God bless America! 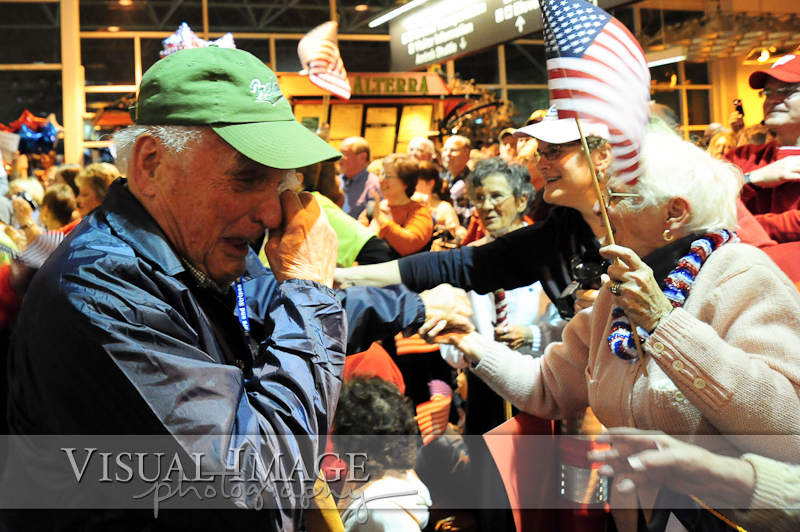 At the end of the day, over six thousand people were waiting to greet the heroes from WWII as the entered the concourse at General Mitchell. I have never seen a crowd this large at the airport. 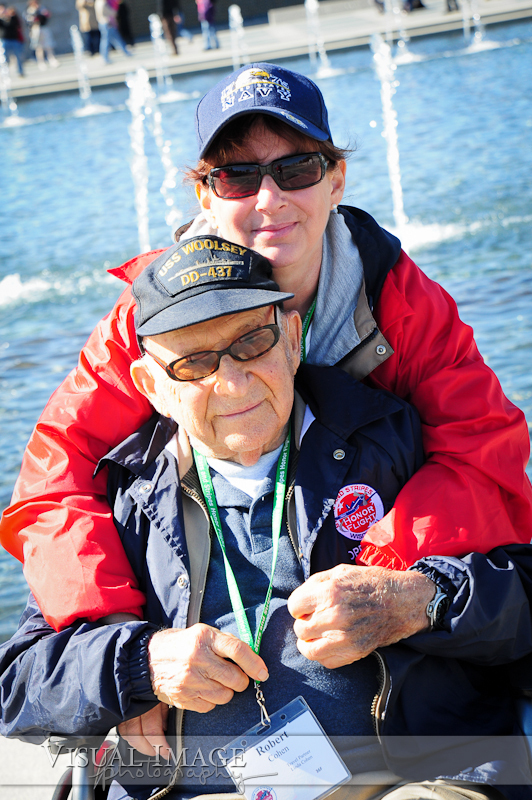 Thank you for showing your support for our veterans! 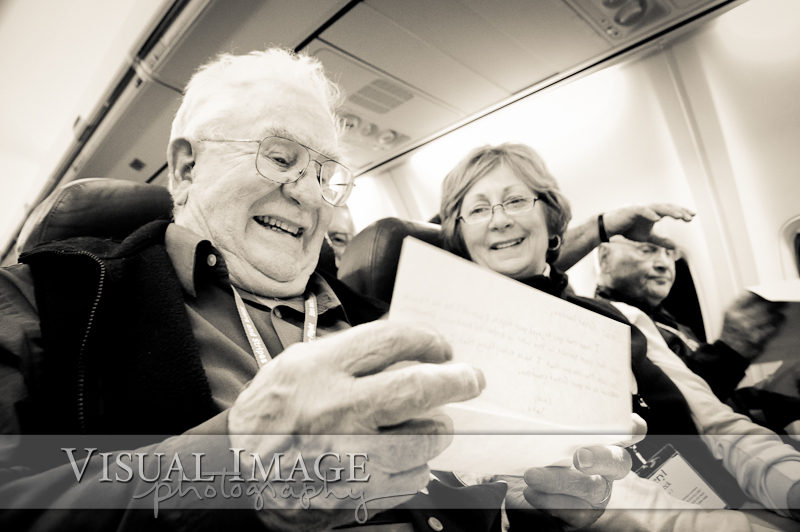 This was truly an amazing way to return home! 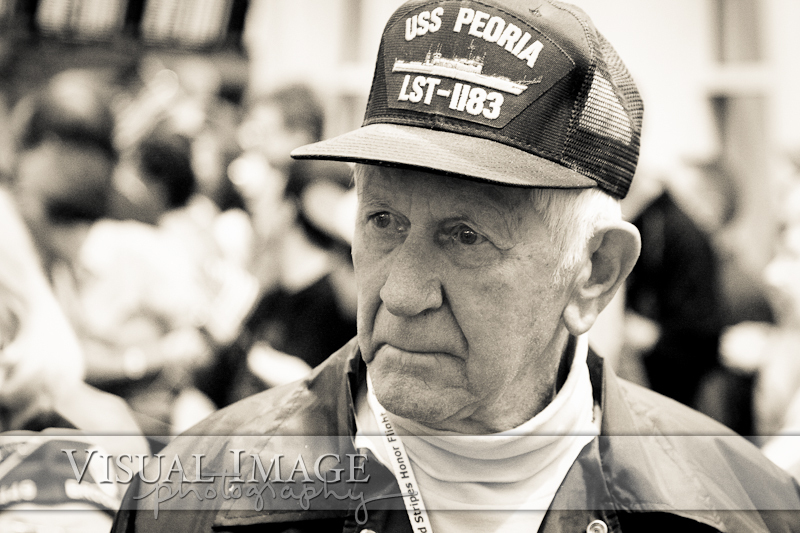 Are you interested in seeing more pictures from previous Honor Flights? 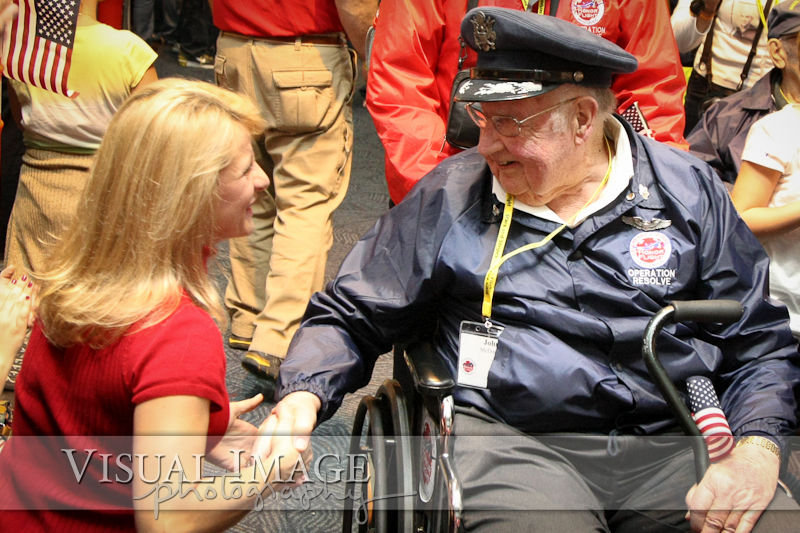 Click here for the October 2011 Mail Call and Homecoming. Click here for the October 2011 trip to Washington, DC.